The Zune media player from Microsoft is a new gadget in the crowded and competitive portable music player or MP3 player market, in direct competition with hugely popular market leader Apple iPod. So which Zune or iPod is the better mobile media player? If you plan to purchase or buy a MP3 player or media player, Zune or iPod that will give you more value for money, and won’t make you regret after getting it? And most importantly, is Zune has all the WOW factors that can kill off iPod and grab the lucrative market share from Apple? 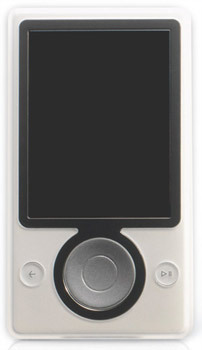 CNN also discussed about Zune on its American Morning TV program, introducing the Zune – the iPod killer and try to answer the question if can Zune kill the iPod. The commentator Andrew Ross Sorkin from New York Times not recommended Microsoft Zune. One of the anchor Soledad O’Brien even shows off her iPod Shuffle. Wall Street Journal (dead link) concludes that this first Zune has too many compromises and missing features to be as good a choice as the iPod for most users. The hardware feels rushed and incomplete. It is 60% larger and 17% heavier than the comparable iPod. 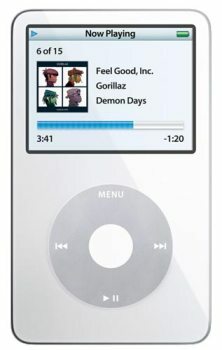 It has much worse battery life for music than the iPod or than Microsoft claims — at least two hours less than the iPod’s, in my tests. Despite the larger screen, many album covers look worse than they do on the iPod. And you can’t share music libraries between computers like you can with iTunes. Overall, the iPod and iTunes are still the champs. Still, I expect the Zune to attract some converts and to get better with time. And this kind of competition from a big company with deep pockets and lots of talent is good for consumers in the long run. New York Times compares iPod and Zune, and concludes that competition is good and all. But what, exactly, is the point of the Zune? It seems like an awful lot of duplication — in a bigger, heavier form with fewer features — just to indulge Microsoft’s “we want some o’ that” envy. Wireless sharing is the one big new idea — and if the public seems to respond, Apple could always add that to the iPod. Naturally, you also miss out on the 3,000 iPod accessories: speaker systems, microphones, cases, home and auto adapters, remote controls and so on. Gizmodo compares and lists out which features are available on each iPod and Zune, and concludes that for most people, we’re going to recommend you get an iPod. It’s got more support, plus it’s backed by iTunes, which works well and gives you a lot more choice in music, TV, and movie purchases. Of course if you want a subscription service, or a bigger screen, or a built-in FM tuner, then there’s the Zune. But if you’re borderline between the Zune and the iPod, we’d play it safe and get the iPod, then wait for the 2nd generation Zune and see what’s going on.